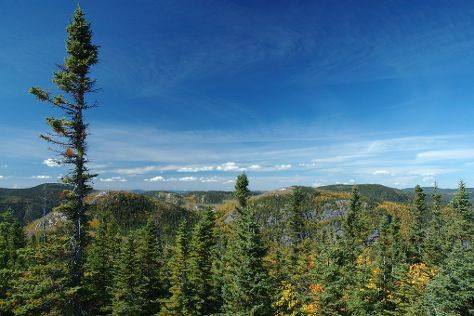 You've now added Mount Royal Park to your itinerary. Start off your visit on the 5th (Sat): pause for some serene contemplation at Notre-Dame Basilica and then admire the natural beauty at Montreal Botanical Garden. Keep things going the next day: hunt for treasures at Jean-Talon Market, then learn more about the world around you at Biodome de Montreal, and then walk around Mount Royal Park. To find traveler tips, ratings, and tourist information, read Montreal vacation website . If you are flying in from Luxembourg, the closest major airports are Montreal / Pierre Elliott Trudeau International Airport and International Airport of Mirabel - Academy of Aeronautics of Canada Flying School training. Expect a daytime high around 17°C in October, and nighttime lows around 8°C. Finish your sightseeing early on the 6th (Sun) so you can drive to Mont Tremblant. Best known for its ski resort, Mont Tremblant appeals to tourists regardless of season with its lush natural setting and priceless mountain views. On the 7th (Mon), relax and rejuvenate at some of the best spas and then have some family-friendly fun at Skyline Luge Mont-Tremblant. For reviews, where to stay, ratings, and tourist information, refer to the Mont Tremblant travel app . Drive from Montreal to Mont Tremblant in 2 hours. Alternatively, you can take a bus. Traveling from Montreal in October, expect little chillier with lows of 1°C in Mont Tremblant. Finish your sightseeing early on the 7th (Mon) so you can drive to Ottawa. Get ready for a full day of sightseeing on the next day: stroll through Rideau Canal, enjoy breathtaking views from Peace Tower, and then ponder the world of politics at Parliament Hill and Buildings. For reviews, where to stay, and tourist information, read our Ottawa visit planning tool . Drive from Mont Tremblant to Ottawa in 2.5 hours. Alternatively, you can take a bus. Traveling from Mont Tremblant in October, Ottawa is somewhat warmer at night with lows of 6°C. 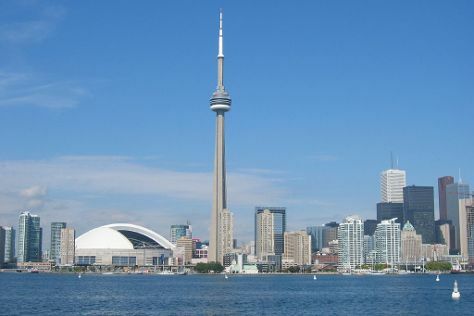 Finish your sightseeing early on the 9th (Wed) so you can travel to Toronto. Kick off your visit on the 10th (Thu): browse the eclectic array of goods at St. Lawrence Market, take a stroll through The Distillery District, and then make a trip to CN Tower. Get ready for a full day of sightseeing on the 11th (Fri): see the interesting displays at Royal Ontario Museum, then explore the historical opulence of Casa Loma, and then take in the spiritual surroundings of St James Anglican Cathedral. To see where to stay, photos, maps, and tourist information, go to the Toronto travel route planner . You can fly from Ottawa to Toronto in 3 hours. Alternatively, you can take a train; or drive. Expect a daytime high around 18°C in October, and nighttime lows around 9°C. Finish your sightseeing early on the 11th (Fri) to allow enough time to drive to Niagara Falls. Start off your visit on the 12th (Sat): enjoy breathtaking views from Skylon Tower, then explore the striking landscape at Journey Behind the Falls, then admire the sheer force of Niagara Falls, and finally take in the views from Rainbow Bridge. On the 13th (Sun), you'll have a packed day of sightseeing: get to know the fascinating history of White Water Walk and then identify plant and animal life at Butterfly Conservatory. Traveling by car from Toronto to Niagara Falls takes 1.5 hours. Alternatively, you can take a bus; or take a train. In October, daily temperatures in Niagara Falls can reach 20°C, while at night they dip to 9°C. 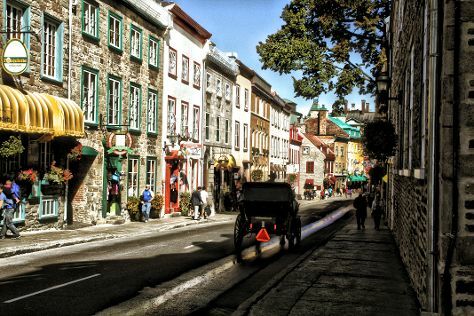 Wrap up your sightseeing on the 13th (Sun) early enough to travel to Quebec City. Kick off your visit on the 14th (Mon): get to know the fascinating history of Terrasse Dufferin and then wander the streets of Old Quebec. Here are some ideas for day two: ponder the world of politics at Parliament Building (Hotel du Parlement) and then admire the sheer force of Parc de la Chute-Montmorency. For ratings, more things to do, where to stay, and other tourist information, use the Quebec City online visit planner . Getting from Niagara Falls to Quebec City by combination of train and flight takes about 7 hours. Other options: drive; or take a train. Expect a daytime high around 17°C in October, and nighttime lows around 7°C. Finish your sightseeing early on the 15th (Tue) so you can drive to Montebello. Montebello is a municipality located in the Papineau Regional County Municipality of Western Quebec (Canada). Start off your visit on the 16th (Wed): look for gifts at Fromagerie Montebello, contemplate the long history of Lieu historique national du Canada du Manoir-Papineau, then look for all kinds of wild species at Omega Park, and finally get engrossed in the history at The Musuem of Pioneers. On the 17th (Thu), you'll have a packed day of sightseeing: explore and take pictures at Alpage du Nord and then let the river carry you with a rafting and tubing tour. To see where to stay, ratings, more things to do, and other tourist information, read Montebello trip planner . Drive from Quebec City to Montebello in 4.5 hours. Alternatively, you can fly; or do a combination of flight and bus. In October in Montebello, expect temperatures between 16°C during the day and 5°C at night. Wrap up your sightseeing by early afternoon on the 18th (Fri) to allow time for travel to Baie Sainte-Catherine. Kick off your visit on the 19th (Sat): head outdoors with Centre D’Interpretation Et D’Observation De Pointe-Noire, then get outside with Sentiers de la Baie des Rochers, and then see the interesting displays at Herbamiel. For ratings, where to stay, and tourist information, read Baie Sainte-Catherine trip planner . Drive from Montebello to Baie Sainte-Catherine in 6.5 hours. Alternatively, you can fly. When traveling from Montebello in October, plan for little chillier days and about the same nights in Baie Sainte-Catherine: temperatures range from 11°C by day to 6°C at night. On the 20th (Sun), wrap the sightseeing up by early afternoon so you can travel to Charlevoix. To see maps, ratings, reviews, and more tourist information, read our Charlevoix online day trip planner . You can drive from Baie Sainte-Catherine to Charlevoix in 2 hours. In October, plan for daily highs up to 14°C, and evening lows to 3°C. Wrap up your sightseeing on the 21st (Mon) early enough to travel to Saint Aime Des Lacs. 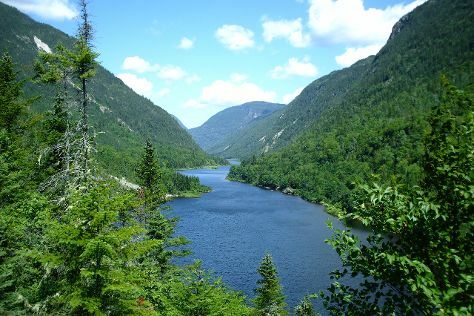 Kick off your visit on the 22nd (Tue): get outside with Plage de St-Irenee, take in the exciting artwork at Les Ateliers DeBlois, and then immerse yourself in nature at Regional Park of Hautes-Gorges of the Malbaie River. To see traveler tips, where to stay, reviews, and tourist information, go to the Saint Aime Des Lacs day trip planning app . Drive from Charlevoix to Saint Aime Des Lacs in an hour. In October, daytime highs in Saint Aime Des Lacs are 14°C, while nighttime lows are 3°C. Finish your sightseeing early on the 22nd (Tue) so you can travel back home.